Who doesn’t love a good scare to go along with that #pumpkinspicelatte. 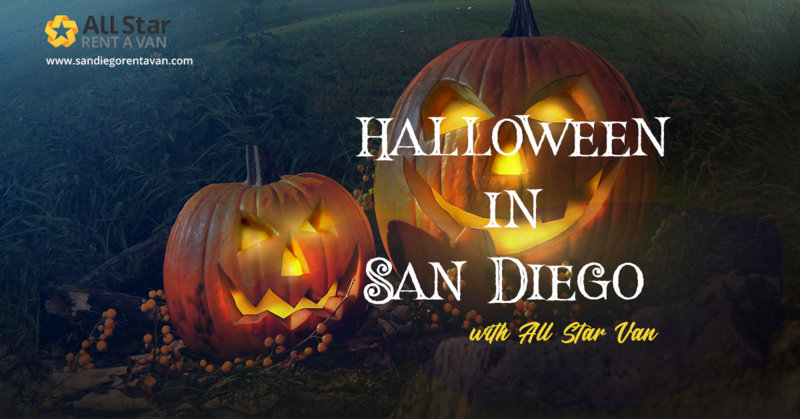 Well, all October long San Diego is THE place to be for all you Hallowe’en fanatics! 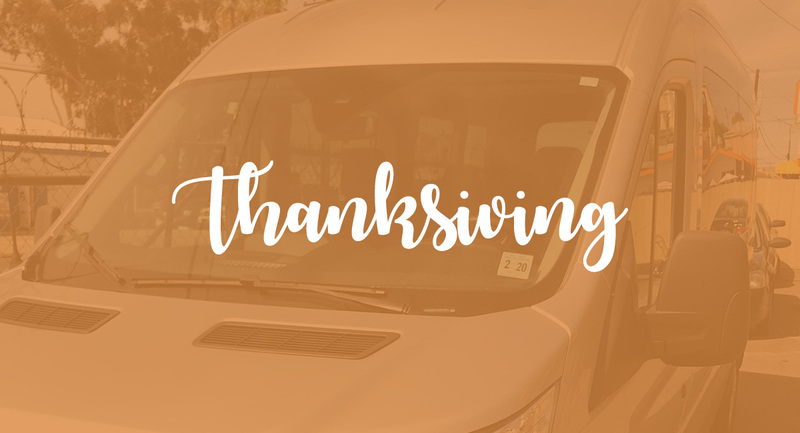 And with your All Star Van, you can rest assure that you get to every location you are in dire need to see and experience. 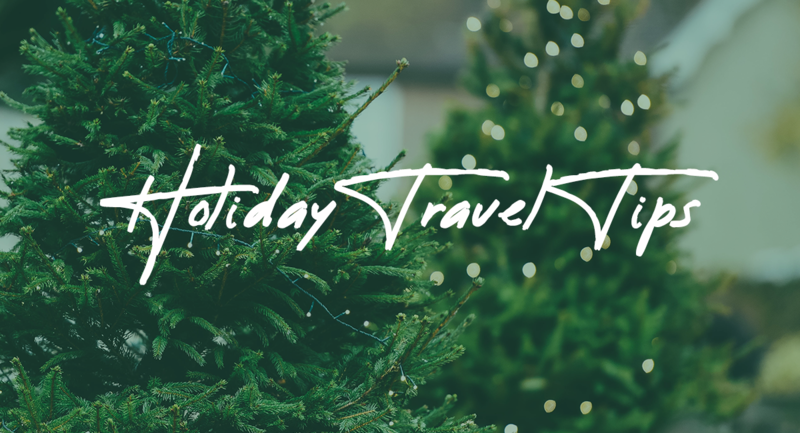 If you are looking for something that is child-friendly we recommend a few of these amazing places filled with everything your child could desire. This is a month long event that happens every Saturday night. You and your family will be able to meet-and-greet characters, enjoy live entertainment, enter some costume contests and of course, enjoy some Halloween treats. Another must-see is the SeaWorld fall festival. Here you will find all sorts of family fun such as trick-or-treating, live shows, and many more Halloween themed activities. You may even see some of your favorite creatures dressed up. If you can think of it! It will be happening in San Diego. There are Zombie Walks, Pub Crawls, Monster Bashes, Halloween Yacht Parties and more. 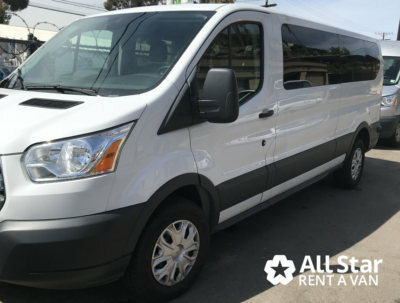 If you have that one friend that doesn’t drink, why not rent an All-Star Van and do a pub crawl in style. If there is one unfortunate thing about Halloween, it is that it’s in October, which is known for some colder weather. With your van rental not only will you stay warm, but you will get to your next location safely. 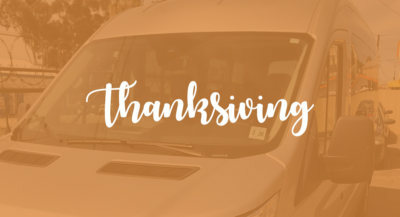 So whether you chose to do the infamous Zombie Crawl Gaslamp Takeover or the San Diego Halloween Pub Crawl, you can rest assured your transportation is covered. If you are looking for something truly scary on halloween, check out some of these amazing items below. These are definitely not for the faint of heart. This mile-long trail will lead you through twisted groves oaks and groves of pine in the world famous Balboa Park in the heart of San Diego. Every year they change up the actors to make sure you get scared by your favorite and most feared horror characters like Pennywise, Leatherface, Mike Myers, and Freddy. With the bone-chilling combination of three attractions, Haunted Hayride, The House of Horror and KarnEvil, in combination with an immersive zombie paintball game you know your Halloween is going to be an amazing action packed one for sure at the Scream Zone. This one is not for the faint of heart. In fact, you will be asked to sign quite a few waivers and go into depth about what your comfort levels are. Unlike other attractions, in the McKamey Manor, all actors are allowed to not only allowed to touch you, but they can bind you, gag you, beat you and leave you locked in all sorts of things for hours. This place will truly make you feel as if you are in a horror movie. So if you don’t mind going through sheer terror for a few laughs this one’s for you. If you are more interested in the true horror that can happen in this life, without the special effects, check out some of these real haunted houses. As we mentioned in our previous blog article the Hotel Del Coronado is on the most beautiful hotels in San Diego. However, what we didn’t previously mention is that is said to be haunted by the spirit of Kate Morgan. Guests have reposted lights flashing, books being thrown, footsteps and linens being moved on you while you sleep. The Whaley House is a history buff favorite! This gorgeous Victorian house was built in 1857 by Thomas Whaley and it is said to be haunted by none other than Mr. Whaley himself. Some of the other ghosts that are said to inhabit this house are Yankee Jim, a little girl who died in the house, as well as a few others. Stay spooky and safe this Halloween with your All Star Van Rental.